Bobby Rivers TV: STRAIGHT OUTTA COMPTON: Could NBC Have Helped? Did NBC's TODAY show kick a top box office winner to the curb last summer? One that critics and fans feel should be a current contender in the Best Picture Oscar race? I'll give my opinions and I welcome your comments. 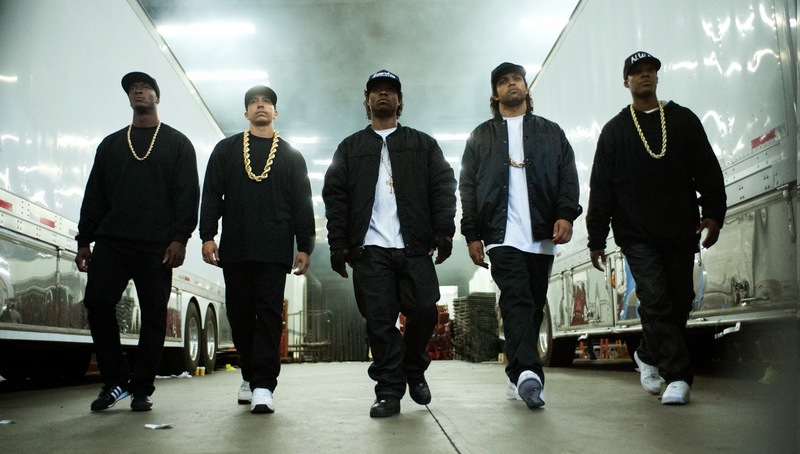 The movie is the revolutionary rap music group biopic, STRAIGHT OUTTA COMPTON. 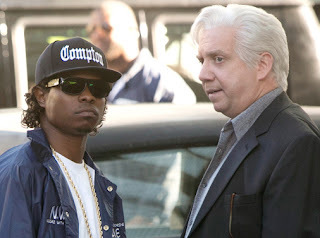 The story of the controversial 1980s music group, N.W.A., was directed by F. Gary Gray. Once a music video director, he graduated to feature films. He graduated with honors when Straight Outta Compton was released. One of the most popular films of the summer, it was number one at the box office for three consecutive weekends. Foreign markets were eager to see it. Variety called the film "a timeless depiction of how artists transform the world around them." Lou Lumenick of New York Post called it "one of the summer's most entertaining and provocative movies." Straight Outta Compton is a Universal Pictures release. The Today morning news program airs on the NBC/Universal network. I started hearing from black and white, male and female film critics that this film was excellent before it opened. There were screenings for critics and other media. 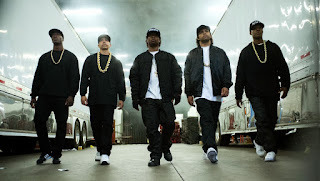 I wrote a blog post last summer about something that struck me odd about Today and Straight Outta Compton. Despite the strong reviews and the equally strong box office receipts, there was no promotion of the movie on NBC's Today. That's weird because the movie and the news program have a corporate kinship. When movie companies became attached to networks, that just about erased the line between news and entertainment. Look at ABC with its parent company, Disney. Good Morning America already gives massive amounts of airtime to blondes -- blonde anchors, blonde contributors, blonde celebrities, missing blondes. If Disney could have an anchor dress up like Elsa from Frozen once a week and deliver good news while "Let It Go" played in the background, it would. The network cross promotes product from the parent company. Robin Roberts dressed up like Elsa for the Good Morning America Halloween show a couple of years ago. I'm positive that was not her idea. 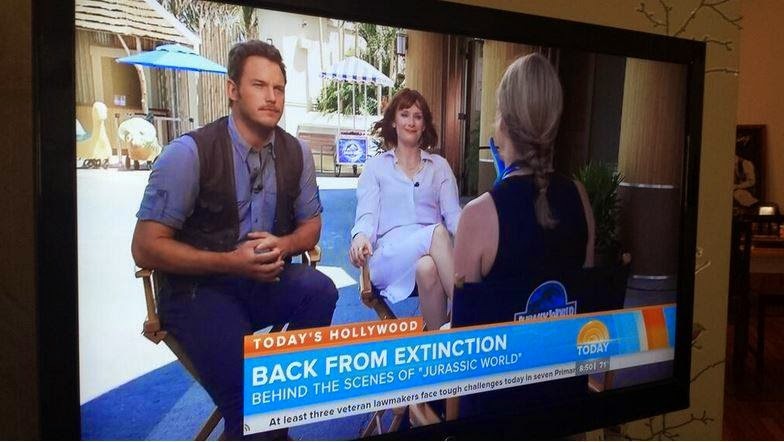 Last summer, Today did segments on Universal's Jurassic World. There was an interview of its star, Chris Pratt. 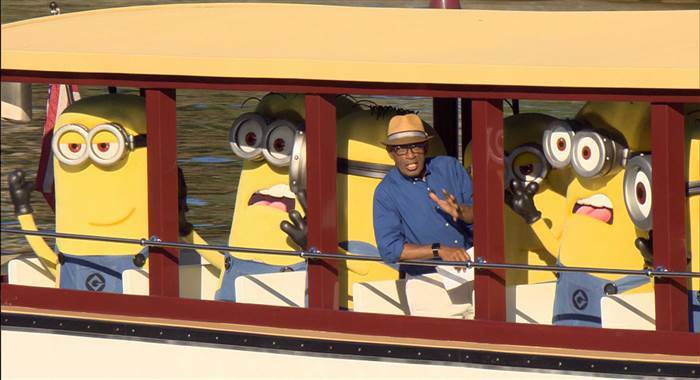 Al Roker continued the promotion in his weather segments. 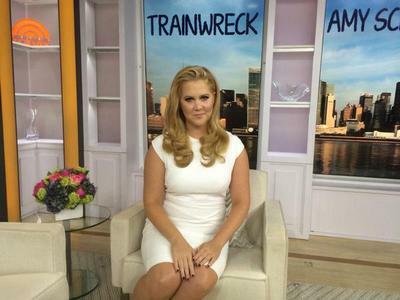 Trainwreck starring Amy Schumer was a Universal release. She was Today guest. 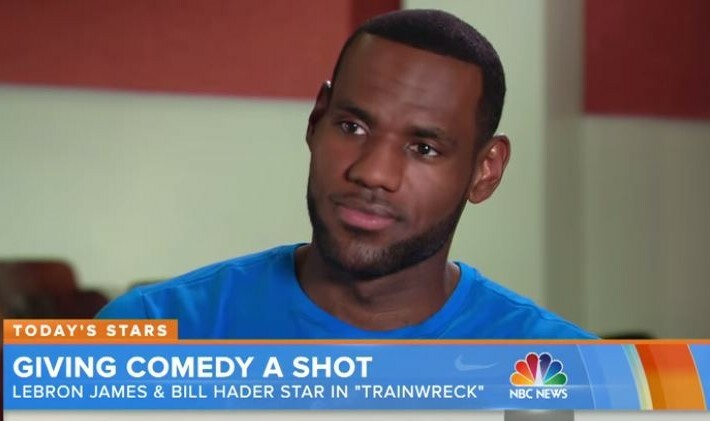 Al Roker interviewed other Trainwreck cast members in his hour of Today. Here he is with Colin Quinn and Brie Larson. The Amy Schumer comedy got lots of attention on the Today show. LeBron was interviewed. 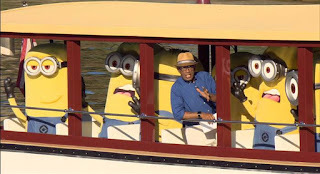 The animated feature, Minions, was a Universal release. 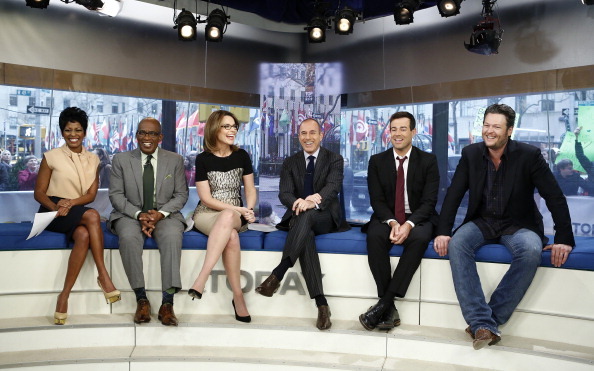 Here's Mr. Roker on Today. Minions got star treatment in the studio. But there was no Today spotlight on Universal's Straight Outta Compton. The film got one Oscar nomination -- for Best Original Screenplay. In the film, O'Shea Jackson Jr. played his father, Ice Cube. Oscar nominee Paul Giamatti (2005's Cinderella Man) also stars in the film and gives an excellent performance in a key role as the N.W.A. manager. As I've written before, Google "Jurassic World NBC Today Show" and see the number of segments that pop up. Do the same with "Trainwreck" and then "Minions." Then Google "Straight Outta Compton NBC Today Show." You just get a short mention of its weekend box office performance. You won't find an interview of the film's director, F. Gary Gray. A black man directs a Hollywood studio release that gets good reviews from top critics, tops the weekend box office for three consecutive weekends and even sets new box office records. How many times has that happened in Hollywood history? I'd have booked him to come into the studio and talk all about it if I was a Today segment producer. That is a major accomplishment in entertainment news. I read that some of Gray's favorite classic films are Casablanca, Sweet Smell of Success, On The Waterfront and Fellini's La Dolce Vita. Heck. For that, I'd book him as a Guest Programmer one night on Turner Classic Movies with Robert Osborne to introduce four films Gary selected from the TCM library to air that night. Films Gray previously directed include The Negotiator (1998) starring Kevin Spacey and Samuel L. Jackson, the 2003 remake of The Italian Job starring Ed Norton, Charlize Theron, Mark Wahlberg and Donald Sutherland and Be Cool (2005), the sequel to Get Shorty starring John Travolta, Uma Thurman and Dwayne "The Rock" Johnson. Gray was a music video director who won a top prize at the 1995 MTV Music Video Awards. That's another curious thing. Today show member Carson Daly was a very popular MTV veejay. Full disclosure, I worked for MTV Networks on the VH1 side as a veejay/talk show host from 1987 to 1990. Couldn't Carson have done an interview of Gray and talked about the director's evolution from MTV music videos to feature films? There's The Voice and Today host Carson Daly, second one in from the right. ABC's The View had the Straight Outta Compton cast on its August 14th show. That same week, Gayle King of CBS This Morning did a feature on Straight Outta Compton. Nothing on Today. That's odd to me. Another full disclosure: I worked on local WNBC/Channel 4 -- and did some on-air work with Matt Lauer -- from the fall of 1992 to early 1995. I was a regular on its Weekend Today in New York morning news program. I can tell you that NBC has mastered the art of self-promotion. When our show premiered, Conan O'Brien was new to NBC late night. His ratings weren't stellar. I was assigned to interview him live in our studio one day to promote his show. I also did some weekly bits to promote NBC's Seinfeld. 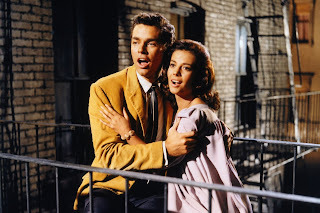 That's why it strikes me as peculiar that NBC/Universal's Today overlooked a hit Universal movie. Last year, race and gender diversity issues in Hollywood lit up as a hot topic. They're still a hot topic. Straight Outta Compton is a biopic about internationally famous black artists in the music field. I grew up very close to Compton in South Central Los Angeles. I attended a high school in Watts just a few years after the Watts Riots made national headlines. Our family lived in the curfew area during the riots. Before and after that revolt, our family was a Today family. Seeing reflections of ourselves and of our people on the show was very important to us. Seeing those reflections is still important to me when I watch Today -- especially when my people succeed and distinguish themselves as director F. Gary Gray did. Is Today just older, too comfortably upscale and slightly out of touch in terms of diversity in the same way the Hollywood Academy seems to be, based on the predominantly Caucasian crop of current Oscar nominees? Several film critics stunned that Straight Outta Compton did not get a Best Picture Oscar nomination. Moviegoers on social media felt the same way. Ten films are eligible for the Best Picture Oscar but, this year, we have only eight nominees. Go figure. And diversity issues in Hollywood continue to be a hot topic. By the way, Today host Matt Lauer is in Straight Outta Compton. He gets a close-up in archive NBC News footage as he reports on the death of N.W.A. 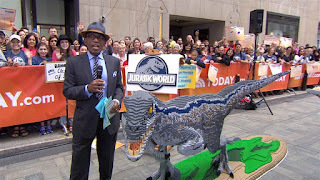 member, Eazy-E.
My question: If the prestigious Today show on NBC/Universal had given the same kind of attention to Universal's Straight Outta Compton that it gave to Universal's Trainwreck and Jurassic World, do you think that it may have helped the film get a little more Oscar nomination love than it did from the Academy? 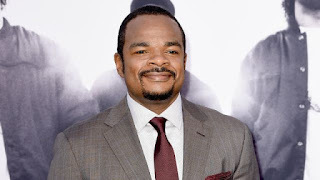 Reportedly, Straight Outta Compton made F. Gary Gray the director of the highest grossing film by an African-American director. The Universal summer hit grossed $200 million in worldwide box office sales. That's way better than what Minions did.